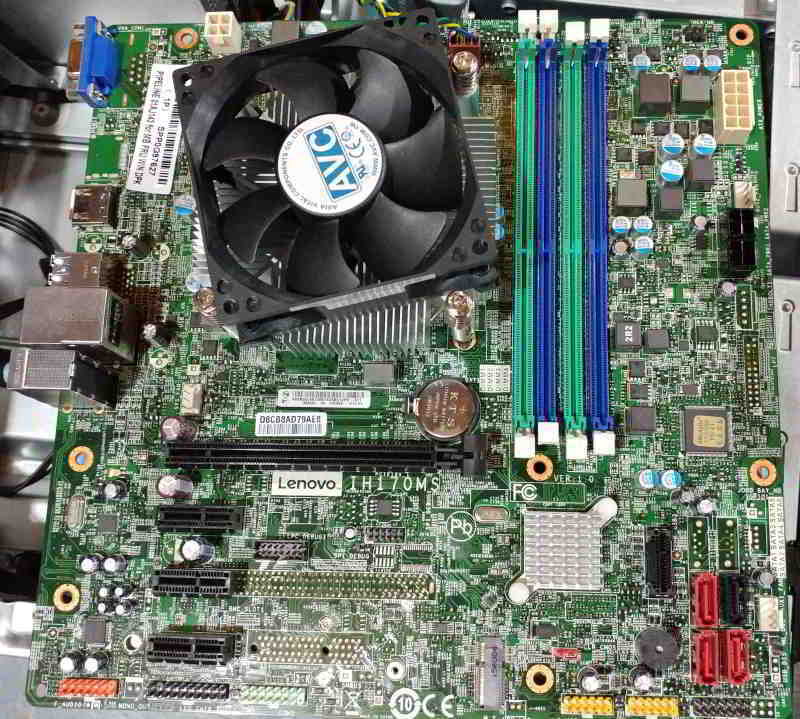 Recently a customer, let’s call him Steve, brought in a Lenovo desktop computer. When I met with Steve, he said the system stayed on for anywhere from a few seconds to a few minutes, then turned off. He initially was told by a local computer shop that the power supply was bad and needed to be replaced. I however said that without testing the system, from my experience it sounds like the motherboard. 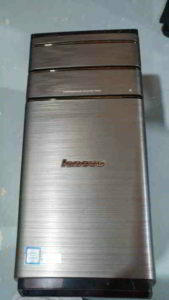 The other computer shop also said that the system used a non-standard power supply, and it had to be ordered from Lenovo directly. I haven’t seen many proprietary power supplies in standard desktop systems, but if it was the power supply I told him that an adapter would more than likely be available and could be ordered and arrive faster than from Lenovo. I ordered the power supply adapter which arrived the next day. This system does require a non-standard power supply, a 10 pin version. New systems that utilize standard power supplies have 24 pins, so the adapter would be able to convert to this. By testing the system I found the RAM (memory) was defective. So I ordered new memory for the system. The power supply tested fine, but I decided to keep the adapter for future use. Once new RAM was installed the system was able to be run for a bit longer so further testing was possible. The motherboard was the culprit! Although the motherboard contains what is called solid state capacitors, I suspect one or more of them are failing, as this is a power issue, since the system will turn off at random and rather short times. 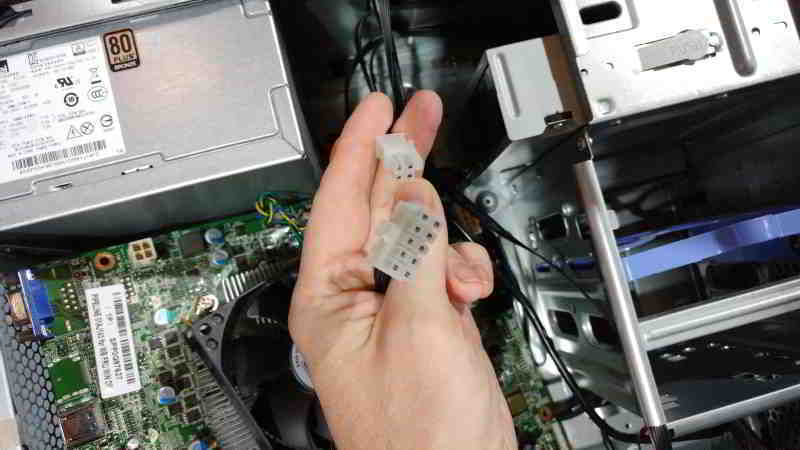 It should be evident by now that the components used in this Lenovo desktop computer are inexpensive, lacking in quality, and require proprietary replacement parts. Further inspection of the motherboard shows that there is limited upgrade-ability as well. Desktop computers such as this are generally sold at Walmart and Staples. Walmart computers and Staples desktop units are sold as throw away systems. The price point the lower end units are sold at do not leave much room for repairs to make much economic sense, depending on the issue with the computer. Steve ended up surrendering this Lenovo desktop so I could utilize it for parts. He also did not want to pay for a more expensive custom desktop computer, which I could have built. His requirements for a system were rather low so he bought another desktop from Staples. I set this system up for him, but opening up the computer I saw that it had proprietary parts as well. Even though it was an HP desktop computer it also had a 10 pin proprietary power supply. I do not recommend these throw-away desktop computers. For the amount of time that they are viable and function without failing compared to the cost it doesn’t make much sense. Say for instance that you purchase an off the shelf system for $400. It lasts you for one year, just the span of the warranty. Next year you do the same thing. Three years go by and you spend over $1,200 on three systems, all having failed. Now figure the possibility of time lost due to not having a system in addition to the strong likely-hood of data lost as well. If you would have purchased a custom computer system from me for $1,200 it is a strong likely-hood that it would still be running and be relevant for your usage three years later. Even if a problem arose with the system, every part is replaceable with industry standard components. If you’re in the market for a new desktop computer I highly recommend a custom system. It can be tailored to your needs and budget. Custom computers aren’t just for gamers. If you want quality, go custom. Many of my custom computers are still being used past the five year mark. Contact me if interested.